KUALA LUMPUR: MOHAMMAD Firdaus Mohamad Hadzromi, 18, was 4 years old when he lost his right arm in a motorcycle accident. The doctors had to amputate his lower arm, leaving him to live a frustrating and depressing childhood. Now, the graphic design student from Alor Star can live normally after 14 years of waiting for an artificial limb. 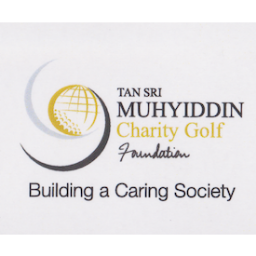 He received a set of below-elbow passive function prosthesis with silicon palm and elbow lock worth RM9,500, donated by TSM Charity Golf Foundation. Grinning ear to ear, Firdaus said the new prosthesis would help him focus on his studies. “It is hard for me to draw and hold things using one hand. I need my friends to help and accompany me for assignments,” he said. His father, Hadzromi Hashim, 38, is an odd-job worker who earns RM1,000 a month while his mother, Ruspiza Abdul Halim, 36, is a housewife. Hadzromi described his eldest child of three as an independent son and that Firdaus had never felt defeated because of his disability. 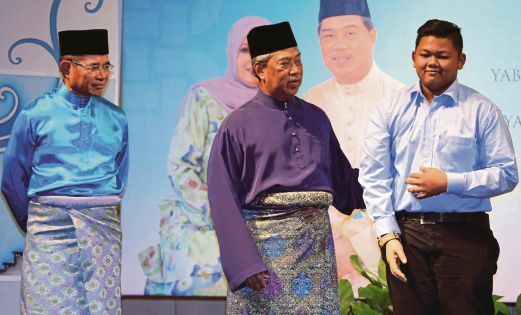 Deputy Prime Minister Tan Sri Muhyiddin Yassin met Firdaus during the TSM Charity Golf Foundation’s Hari Raya open house celebration recently. Muhyiddin presented the artificial limb to Firdaus during the event at the Sime Darby Convention Centre here.